Shawn is an experienced corporate and commercial litigator who focuses on delivering value to Osler’s clients in their high-stakes business disputes. Recognized for being practical and innovative, Shawn goes the extra mile to know our clients’ businesses. Whether acting on a complex multi-jurisdictional class action, a fiercely contested dispute over the dissolution of a closely held private company, a securities investigation or contested take-over bid, or the restructuring of an insolvent corporate giant, Shawn tirelessly advocates for those he represents while remaining committed to identifying and obtaining the best practical results for them. Shawn acts predominantly for corporate, insurance, banking and other financial sector clients, and has significant expertise in the private equity, investment fund and portfolio company space. He regularly represents these clients in securities, commercial and insolvency and restructuring proceedings, as well as in investigations and enforcement proceedings involving various securities regulators. 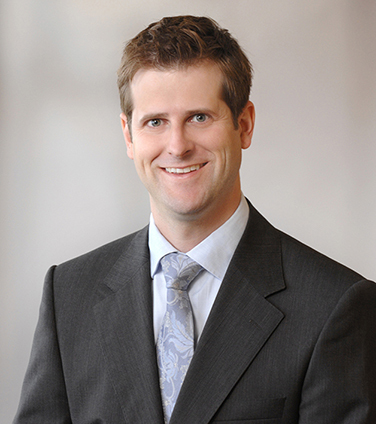 Some of Shawn’s recent non-confidential mandates have included defending Manulife Financial in a multi-jurisdictional class action; representing Corus Entertainment in its successful response to an application made to the OSC by The Catalyst Group Inc. relating to the proposed acquisition of Shaw Media; representing Jazz Aviation in a complex cost benchmarking arbitration against Air Canada; successfully defending a shareholder rights plan, or “poison pill”, adopted by Canadian Oil Sands Limited before the Alberta Securities Commission; successfully defending Asian Coast Development (Canada) Inc. against an oppression remedy claim; and defending RBC and RBC DS in a proposed class action brought on behalf of retail investors following the collapse of a major offshore investment fund. Shawn has also acted as debtor counsel on a number of complex and high-profile CCAA proceedings, including CanWest Communications, Target Canada, and Sears Canada, and for various creditor groups in several other CCAA proceedings. Personally invested in identifying and driving innovative solutions for clients, Shawn currently is the Chair of Osler Works – Delivery, where he works to apply legal matter and project management principles to drive efficiencies, predictability and lower costs for all firm clients. Shawn has actively supported the development and execution of Osler’s adoption of cutting-edge technology in the legal space, including AI, service delivery improvements, and the broad and creative use of Alternative Fee Arrangements. He is also a member of the firm’s Innovation Council, which focuses on the development of new products, service offerings and delivery models to support the evolving needs of Osler clients. Shawn was named a “Rising Star” by Lexpert magazine in 2014, a “Litigation Lawyer to Watch” in 2015 and has been recognized in the area of Corporate and Commercial Litigation by The Best Lawyers in Canada in 2017 and 2018. Manulife in a proposed class action commenced in British Columbia relating to the distribution of mortgage insurance products by Manulife’s wholly-owned subsidiary, Benesure Canada Inc.
Sears Canada Inc. in connection with its CCAA proceedings. Corus Entertainment Inc. in its successful response to an application made to the Ontario Securities Commission by The Catalyst Group Inc. relating to Corus’ proposed acquisition of Shaw Media from Shaw Communications Ltd.
Canadian Oil Sands Limited (COS) before the Alberta Securities Commission in successfully resisting an application by Suncor Energy Inc. (Suncor) to immediately cease trade the poison pill of COS adopted in response to the Suncor take-over bid. Successfully represented Jazz Aviation in a complex cost benchmarking arbitration against Air Canada. Representing a large financial services institution in a proposed billion-dollar class action lawsuit involving the sale of mortgage insurance products. Allegations include breach of privacy, negligent misrepresentation and conspiracy. Asian Coast Development (Canada) Inc. in successfully defending against a $24 million claim for damages brought by two New York hedge funds. The hedge funds were seeking damages and other relief under the oppression remedy provisions of the CBCA. CanWest Global Communications Corp. in its successful restructuring under the Companies Creditors Arrangement Act. Successfully represented Greater Toronto Airports Authority and the Ottawa Macdonald-Cartier International Airport Authority in an aircraft seizure dispute arising from the insolvency of Skyservice Airlines. Various entities controlled by Carl Icahn in proceedings before the British Columbia Securities Commission and the British Columbia Supreme Court in connection with a take-over bid for Lions Gate Entertainment Corp.
Smurfit-Stone Container Canada Inc. in a CCAA court sanctioned sale of 1,000,000 acres of private timberlands in Quebec. A leading Canadian bank and brokerage firm in an action commenced by a Canadian children’s animation company involving a wide range of issues including breach of contract, negligence and unjust enrichment. A leading Canadian bank and brokerage firm in a proposed class action brought on behalf of Canadian and offshore retail investors who incurred an investment loss caused by the collapse of a major offshore investment fund. An international media company in a complex commercial arbitration involving a wide range of issues, including a dispute over certain post-closing working capital adjustments. Sears Holdings Corporation in proceedings before the Ontario Securities Commission and the Ontario Divisional Court in relation to Sears Holdings’ take-over bid for the shares of Sears Canada Inc.
Lexpert: Guide To the Leading US/Canada Cross-Border Litigation Lawyers in Canada, 2015, Litigation Lawyer to Watch. Lexpert Rising Stars, 2014, Leading Lawyer Under 40. National Insolvency Review, Volume 35, No. 3, June 2018. The Advocates’ Society, speaker, Hitting Your Stride education program, June 1, 2016. Sealing Orders Since Sierra Club: Effective Ways to Obtain Expansive Confidentiality Protections, Commercial Litigation, Volume XV, No. 3, 2013. The Public Interest: Friend or Foe of the Ontario Capital Markets? : A Review of Section 127 of the Securities Act (Ontario), 2nd Annual US/Canadian Cross-Border M&A Forum, New York, NY, April 2007 (with Mark A. Gelowitz).